As we travelled without money we ate from nature in the late summer of Europe, which was just perfect for cherries, peaches, figs, mulberries.. all berries really and much more..
We went to the tourist information of each spot we arrived at and asked about parks, forests, or street names that have a fruit in them.. Mulberry-streets often have mulberries!! Also, you can go to „mundraub.org“ and find GPS data about all the open to everyone - fruit trees other traveler found on their way! :D Really awesome! Really? I wonder if they will grow like the purple ones in the Canadian climate. If so, my little girl will want one as well and I will happily be out another couple hundred bucks! Keep tasting the sweet life of adventure and freedom. Very nice! 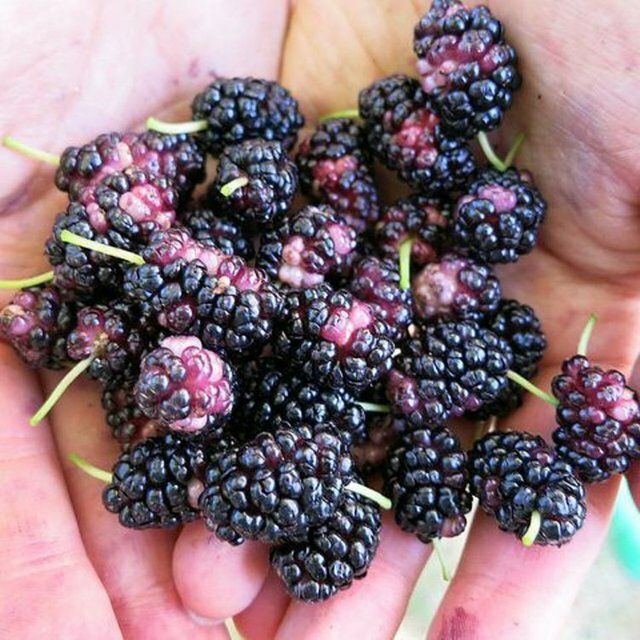 One of the first things I do at a new house is plant a fruiting mulberry tree. Kids love em and so do the birds, butterflies and bees! No just the dark purple one. Didn't know there was a white one!